Another miraculous red-black trick from the inventor of Out Of This World . 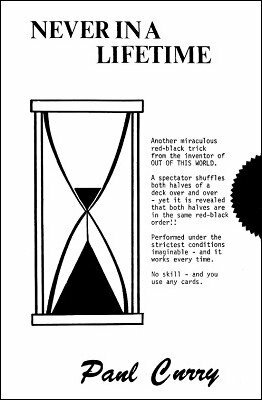 A spectator shuffles both halves of a deck over and over - yet it is revealed that both halves are in the same red-black order! Performed under the strictest conditions imaginable, and it works every time. 1st edition 1975, digital edition 2015, 5 pages.